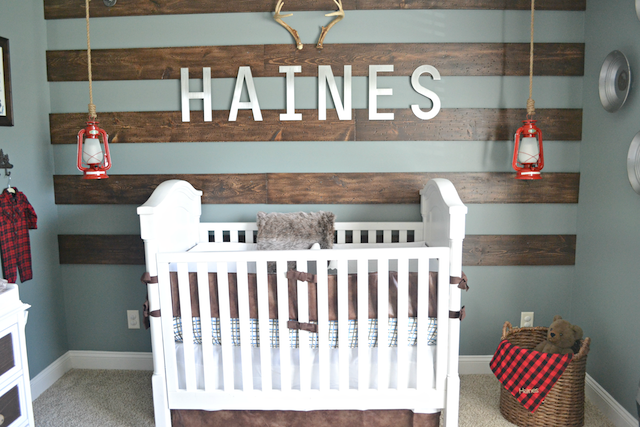 It's snuggle time today on Fawn Over Baby blog! There's nothing better than waking up to your day without a timeline to stick to or to-do list to check off. When we are lucky to have those kind of days, our go-to attire are PJs... All DAY LONG and I'm not ashamed to admit it. The best kind of PJs are the multi-functional kind that I like to call "lounge wear". You know the kind. The ones you wear straight out of bed to the grocery store? The only thing you add are sneakers and you're good to go! 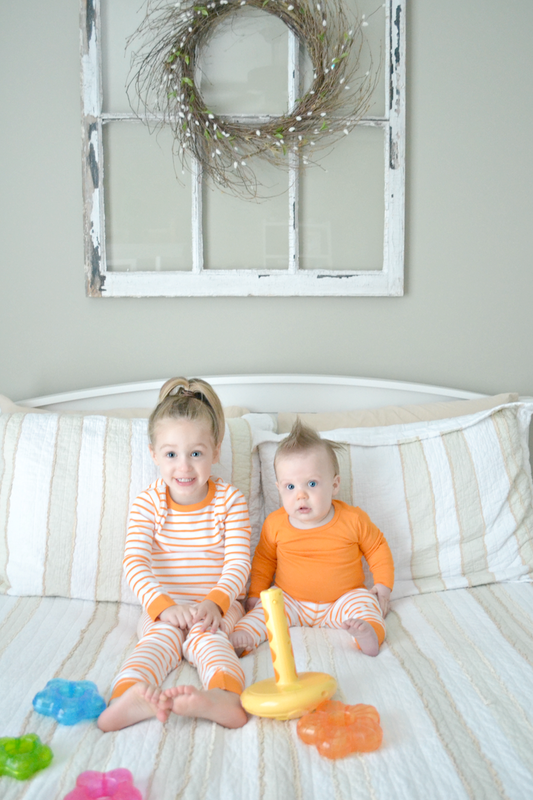 Well today, I'm sharing a sweet way to introduce your kiddos to "lounge wear" from an amazing organic clothing company called Sweet Peanut. Sweet Peanut's mission is to "Make Dressing A Joy" and that's certainly how it was with my kiddos when it came time to try on their items! 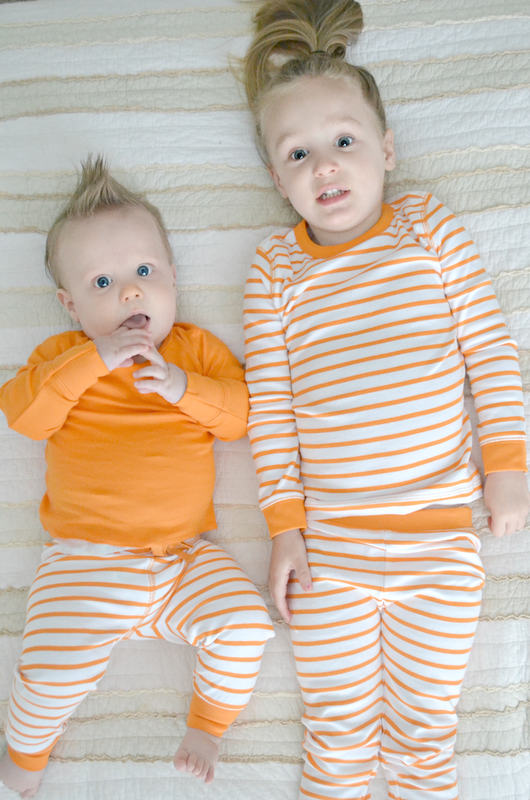 The bright beautiful color and design along with the buttery soft organic fabric, my two couldn't wait to get into these! With 14 core pieces in 7 new collections each season, there is a variety of colors and prints to choose from with hassle-free outfit coordination. 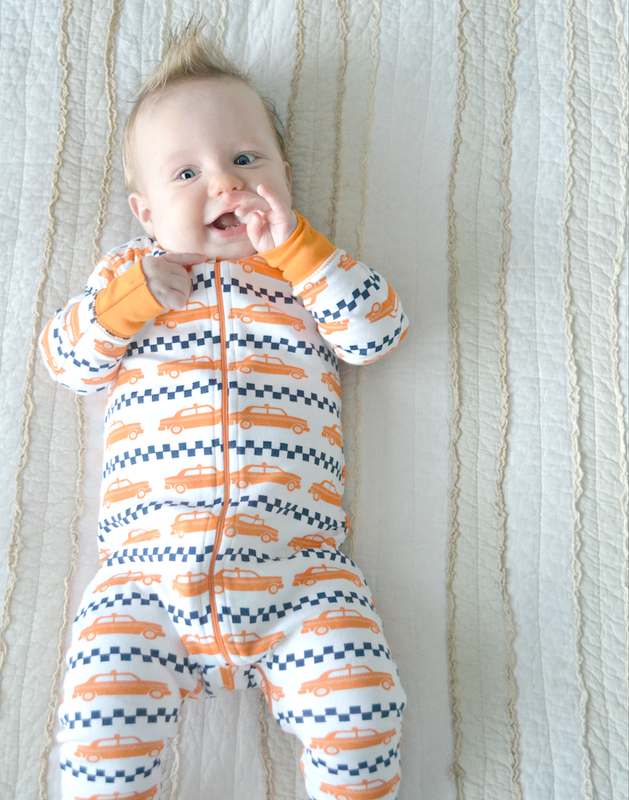 Within each collection, items can be mix and matched to create the perfect ensemble for your baby. It's also perfect for when you just need to change the top or just the bottoms, you still have a pulled together look. 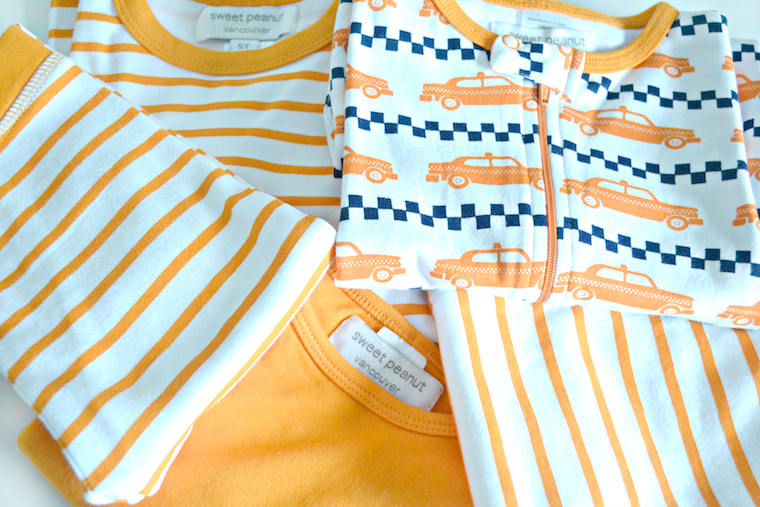 Since it's summertime, I chose items from the bright orange collection, "beep beep". Wouldn't you know, I could dress both my son and my daughter from this one page without too much thought going into it. The snug fit is absolutely perfect. It allows for free-movement without loose clothing getting in the way or tripping them up. 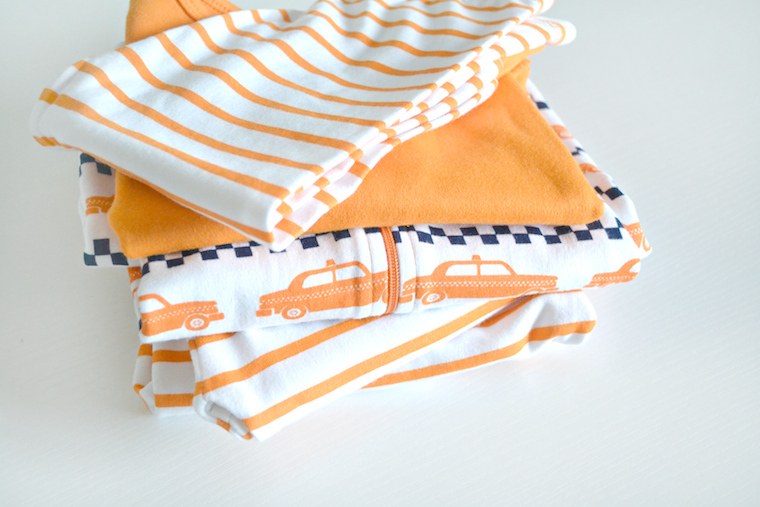 Sweet Peanut's fabric is produced using lush 100% interlocking cotton that has been pre-shrunk to guarantee fit. 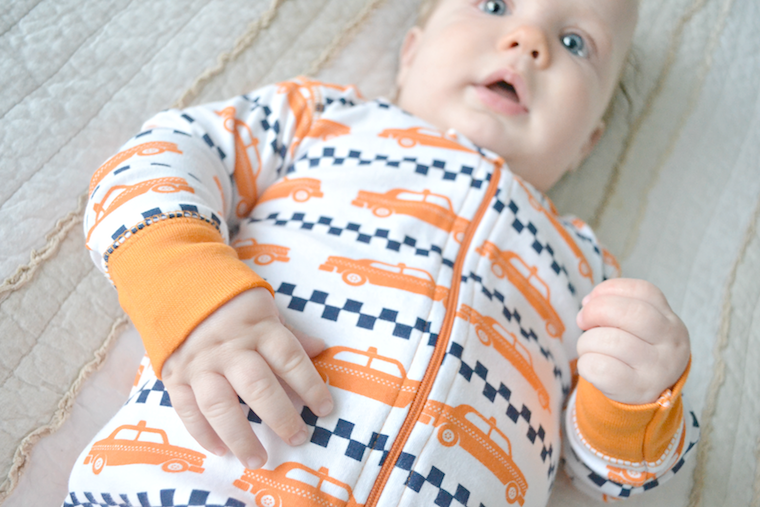 All fabric has also been "bio-washed to protect baby's new skin from chemicals and toxins! That means, no need to wash before wearing! That's one less load of laundry, yay! The icing on the cake for me, is that there are no buttons or snaps on any of their pieces as those tend to make dressing an energetic baby and kid complicated. With Sweet Peanut's easy-on/off approach, you will find wardrobe changes a breeze! 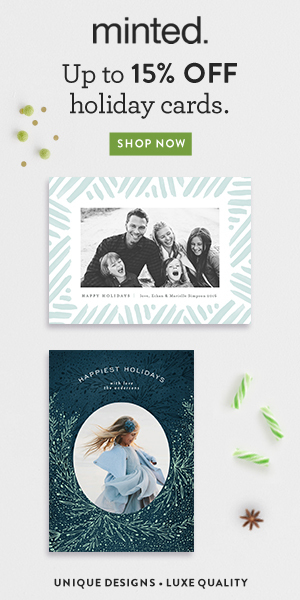 I couldn't be more happier with these pieces from Sweet Peanut and I know you will too! You can't beat easy outfits that are made from top of the line organic fabric with adorable prints and colors to choose from! 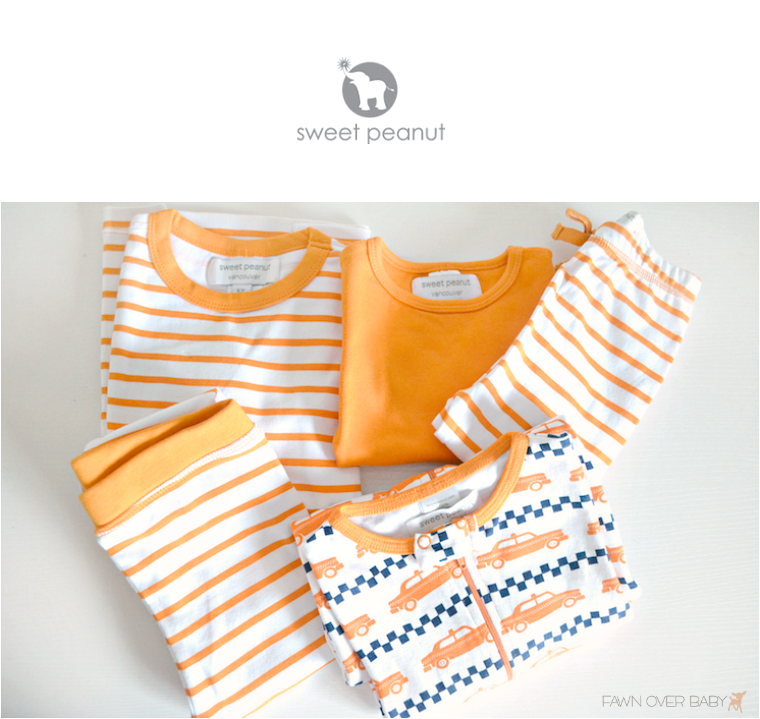 To Welcome All Fawn Over Baby Readers to the fabulous Sweet Peanut Brand, they are offering the first 100 Fawn Over Baby shoppers 15% off your entire purchase! Simply browse collection here and use coupon code: "fawn" at checkout to receive this generous discount! Head On Over Now So You Don't Miss Out! Happy Shopping!